Species invasions can have profound ecological impacts, including changes in patterns of distribution, abundance and diversity of native species, altering food-web dynamics and ecosystem functioning. In the marine benthic environment temperature, predation, competition for space and wave action exposure are some of the main factors that determine invasion success; however, the importance of food availability for invasive species has been underestimated. The present study investigates the diets of two mussel species, Mytilus galloprovincialis and Perna perna, that occur in mixed-species mussel beds, using fatty acid (FA) and stable isotope (SI) approaches over two periods of time in 2012 and 2014. With the exception of one site, we found no significant differences in the SI signatures between species, while strong dissimilarities were present in their FA signatures. Both species showed signatures of exposure to good food quality, however, neither showed links to specific dietary trophic markers. The FA differences observed between species could be related to food selectivity by one or both species or more likely by different metabolic pathways. Further investigations are needed to clarify the pattern observed; however, the results suggested that the food environment was not an important factor in determining the success of the invasive species. This work was supported by funding from the Andrew Mellon Foundation and the South African Research Chairs Initiative of the Department of Science and Technology and the National Research Foundation. We acknowledge the IsoEnvironmental, Stable Isotope Laboratory, Rhodes University, the Stable Isotope Laboratory of the Mammal Research Institute, University of Pretoria and the Centre Analytical Facilities at Stellenbosch University, where the analyses were conducted. Special thanks go to the Coastal Research Group of Rhodes University. Dalsgaard, J., M. St. John, G. Kattner, D. Müller-Navarra & W. Hagen, 2003. Fatty acid trophic markers in the pelagic marine environment. Advances in Marine Biology. Academic Press: 225–340 [available on internet at http://www.sciencedirect.com/science/article/pii/S0065288103460057]. Griffiths, C. L., T. B. Robinson & A. Mead, 2009. The status and distribution of marine alien species in South Africa. In Rilov, D. G. & D. J. A. Crooks (eds), Biological Invasions in Marine Ecosystems. Springer, Berlin: 393–408 [available on internet at http://link.springer.com/chapter/10.1007/978-3-540-79236-9_23]. Iverson, S. J., 2009. Tracing aquatic food webs using fatty acids: from qualitative indicators to quantitative determination. 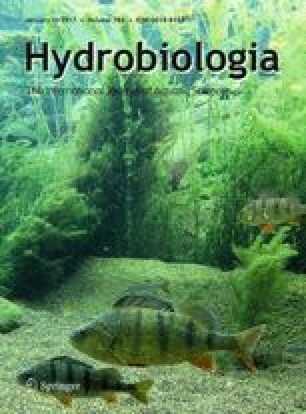 In Kainz, M., M. T. Brett & M. T. Arts (eds), Lipids in Aquatic Ecosystems. Springer, New York: 281–308 [available on internet at http://link.springer.com/chapter/10.1007/978-0-387-89366-2_12]. Iverson, S. J., K. J. Frost & L. F. Lowry, 1997. Fatty acid signatures reveal fine scale structure of foraging distribution of harbour seals and their prey in Prince William Sound. Oceanographic Literature Review 44 [available on internet at http://yadda.icm.edu.pl/yadda/element/bwmeta1.element.elsevier-f1ff42d3-d065-353e-990d-2f96a9c4231b]. McQuaid, C. D. & F. Arenas, 2009. Biological Invasions. In Wahl, M. (ed. ), Marine Hard Bottom Communities. Springer, Berlin: 309–320 [available on internet at http://link.springer.com/chapter/10.1007/b76710_22]. McQuaid, C., F. Porri, K. Nicastro & G. Zardi, 2015. Simple, scale--dependent patterns emerge from very complex effects—an example from the Intertidal mussels Mytilus galloprovincialis and Perna perna. Oceanography and Marine Biology: An annual Review. CRC Press: 127–156 [available on internet at http://www.crcnetbase.com/doi/10.1201/b18733-5].